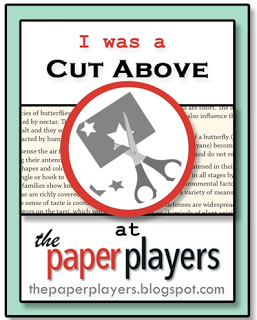 Did you see the cute theme over at The Paper Players Challenge # 261 this week? Sandy wants us to show some Lunchbox Love! I just saw the challenge and immediately thought of SU Pictogram Punches- You’re a Star! I have to sneak this in one of my awesome adult kids’ lunch bag or briefcase. I am so proud of each one of them- they have worked sooooo hard and continue to each day. It feels like it was just yesterday that they were homeschooling with me! Isn’t this a great sentiment for the inside- Lunchbox Love? Perfectly placed in the SU Pictogram Punches stamp set along with stamps that coordinate with the Itty Bitty Accents punches. I also added an epoxy heart from the Itty Bitty Accents Epoxy Stickers. Isn’t the vase sweet? I have not used it yet- add it to my list of cute stamps to attack! 9/12/15 Thanks so much for the pick this week at The Paper Players, Laurie! How cute! I love the star design and the addition of the Silver Cording is perfect! Thanks for joining us at The Paper Players, hope to see you again soon!